The entire under armour is made digitally from scratch and built up over 5 layers. 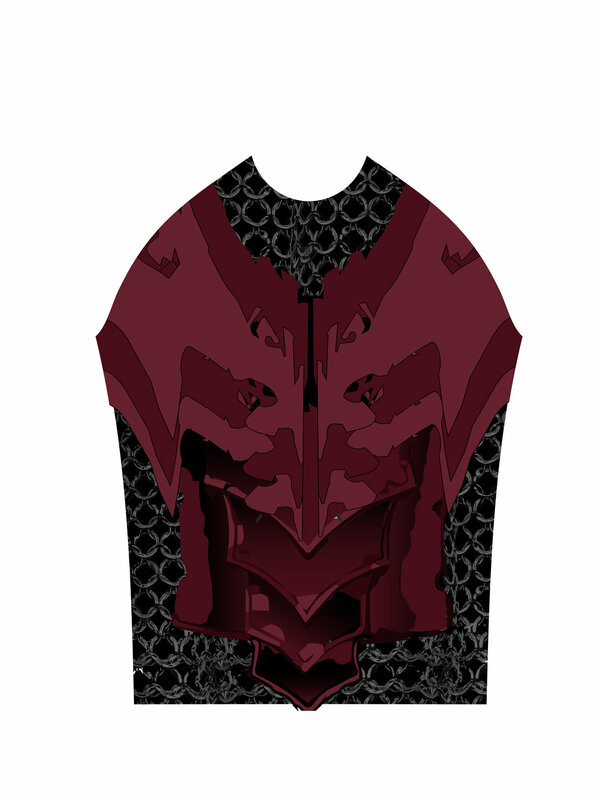 The armour is 3 tone with subtle 2d effects as with the shield on the back panel. 2 options for the sleeves - one with front armour over underarmour running the full length from shoulder to wrist twisting around the arm.